Benefactor contributions start at $180. The pin is a gift given for the donation. There are different levels of contributions. The pin is the same, but does at higher levels get precious stones in the pin. Contact Lisa Ganzman to become a benefactor. Michelle was born and raised in New Jersey and considers herself very much a “Jersey Girl.” She was raised in Holmdel with her two sisters and devoted parents. Michelle is the oldest. Throughout high school, Michelle was involved in USY and prior to her senior year in high school traveled with USY on Wheels. Up until then her summers were spent at sleep away camp in the Poconos. Michelle attended Muhlenberg College and graduated in 1984 with a BA. There she met the love of her life, her best friend and personal chef, Mark. They have been married over 30 years!! During college Michelle spent a semester abroad in London, England. She was one of the first individuals, at least at Muhlenberg to study abroad. While in London, Michelle became convinced that she would befriend the royal family. After college, Michelle went on to Temple University and obtained a Master degree (a MBA) with a concentration in Health Care Adminstration. Mark was still in Medical School at Jefferson. Her first job was at a company in Plymouth Meeting , PA, Diversified Health Services. There she was involved in planning of continuing care facilities. Michelle and Mark married after he graduated medical school and moved to Edison, NJ. Mark started his residency and Michelle worked for many years at Raritan Bay Medical Center, in Perth Amboy. There she was involved in physician services and quality assurance. In 1989, Craig was born and Emily followed in 1992. It’s amazing how quickly their childhood has passed.. Both children are gainfully employed, off the family payroll (mostly) and living on their own. In 1994, Mark finished his residency and took a job at Lawrence Orthopaedics. The family moved to Lawrenceville. One of the first things they did was to join Adath Israel Congregation. They attended Friday night services and the fit was perfect. Everyone was friendly, warm and welcoming. The congregation remains that way to this day. Almost all of their local friendships were made through Adath Israel and for that Michelle is extremely grateful. Michelle did a stint at RWJ in New Brunswick working as a Physician Relations Liaison for the New Jersey Kidney Stone Center. After some brief time off while Craig and Emily were young, Michelle switched gears and went to work for the Lawrence Township Board of Education. What was supposed to be a temporary stop as she considered going back to school for Education has evolved into a 15 year stay working in the Lawrence Middle School Main Office. You never know where life will take you. At Adath Israel, Michelle was involved early on in the Religious School PTO, Board of Education , and the Family Activities Group. Remember Parent’s Night Out? They were so much fun and a highlight of Adath’s social events. She was part of Women’s League, apparently she was told, as Secretary at one point, although Michelle doesn’t remember. She is on the Board for Women’s League currently. Recently Michelle started working on the Chesed Committee. She sends the email blasts notifying congregants when a member or loved one passes. She assures that a donation is made in memory. Michelle continues to remain committed and to have a presence at Adath Israel either by attending events, participating on committees or to helping to assure its continued survival. My name is Karen Abramson Katz. I was born in Trenton to Hy Abramson and Claire Stern Abramson also Trentonians. My grandfather was Morris Stern who had a butcher shop on Union Street in downtown Trenton. I grew up in West Trenton with my parents and my brother Bob Abramson. I went to Gregory School, Junior Three and Trenton High School. I graduated from Trenton State College now known as The College of New Jersey as a math education major. I have played on my high school tennis team and college bowling team. My first job was with the State Department of Insurance where I worked for 4 years as an actuarial assistant. I was working 4 weeks when I married Micheal Katz who I met at Friday night services at Rider College chapel when I was a freshman at TSC. After four years of marriage my son Richard was born and 25 months later my daughter Jennifer was born. I have lived in Ewing Township since 1966 when my parents moved from Trenton and I continue to live in Ewing. I returned to work when my daughter started school. I worked for the State Division of Taxation and after I picked up 26 credits in accounting I went to work for Trenton State College as an accountant. I worked for almost 15 years at Trenton State College, now The College of New Jersey. An opportunity for a promotion came and I went to work at the State Department of Health doing many of the same accounting duties I had at TCNJ. I retired from the Department of Health in 2007 and began volunteering. My husband became ill soon after we retired and passed away in 2010 after 40+ years of marriage. We enjoyed many great trips together especially cruises. My daughter and I continue to travel and cruise. I also enjoy dining out with friends. One of my great joys is visiting my son, Rich, daughter-in-law, Laurie, and grandsons Max and Luke in California. I have been volunteering at Capital Health for 10 years, first at Mercer Medical Center and now at Capital Health in Hopewell. I have also been a past President of B’nai B’rith Women. My religious education started at Ahavath Israel Sunday school and continued at Adath Israel Hebrew School with confirmation. My husband and I were married at Adath and since retirement I have been active helping in the office and in the kitchen for Shabbat and other events. 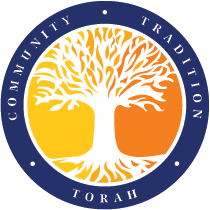 I also enjoy taking a class called Traditions every Tuesday at Adath I am also on the Board of Trustees at Adath and you can usually find me at Shabbat morning services. I joined Golden Age a few years ago and have assumed the duties of Treasurer. I co-chaired our annual Hanukkah luncheon, our Seder and our anniversary lunch. I have chaired bus trips to Hunterdon Hills Playhouse and Doolans in Spring Lake. I also belong to one of the senior clubs in Ewing Township, Club D which meets once a month and has some nice day trips. I also keep busy with exercise classes at PEAC( Pennington Ewing Athletic Club) and a Balance and Stability class through AARP.